At Northside Honda we’re proud to provide brand new Honda models. After more than 25 years of offering handshakes and smiles with every vehicle sold, Fiesta Honda is now Northside Honda. Even with a new name, we’re still committed to being your locally owned and award-winning Honda dealership in San Antonio. With a huge selection of Honda models and used vehicles for sale, as well as dedicated auto financing specialists and technicians in our auto service center, Northside Honda has perfected the formula for a great car buying experience. 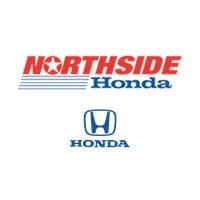 There are a lot of Honda dealers in TX, but there’s only one Northside Honda. We invite you to discover how we operate. Contact us at (210) 944-1065 to speak with a member of our sales or service staff today, or visit our San Antonio dealership at 9100 San Pedro Ave. Whether you’re from New Braunfels or right here in San Antonio, you won’t find a South Texas Honda dealership quite like ours. With a selection that rivals most local car dealers, we have hundreds of new cars, trucks, minivans, and SUVs for sale—all of which have that distinct Honda swagger. From the Civic and Accord to the CR-V and Odyssey, our inventory has all the popular new Honda models. Browse our online selection of Honda vehicles to see which you’d like to test drive, and be sure to keep an eye out for the best Honda offers of the month. Used cars may be a dime a dozen, but if that’s the case, our San Antonio used car lot has dozens of the shiniest dimes in Texas. With a virtually unrivaled selection of pre-owned vehicles for sale, as well as certified used Honda models, we make it simple to find the right car. Priced at or below market value, our used cars are also of the highest quality, meaning there are many miles left to put on their engines. And if you’re looking to sell or trade in your used vehicle, simply fill out our trade-in value form, and we’ll send you an appraisal. For even more savings, take a gander at our used car specials. Securing a ride is always affordable when you shop at Northside Honda in San Antonio. Get pre-approved for a car loan so that you can browse our inventory with confidence! Our team of auto financing specialists are reasonable and understand that your past credit problems shouldn’t restrict you from buying a quality vehicle. We’ll treat you with respect while helping you secure a low-APR auto loan on any new or used car. Let’s work together to get you a vehicle you deserve! Speak with a member of our Honda Finance Department in San Antonio to get started with your application or learn about any current Honda lease deals. At Northside Honda, selling cars may be our go-to, but we’re more than just a car dealership near New Braunfels. In addition to our selection of used and new Honda vehicles, we also perform auto service and help deal with the aftermath of car accidents at our collision center. Our expert auto body mechanics and service techs are available to perform any number of repairs, including standard oil changes and routine Honda maintenance, windshield replacements, recall work and more. We also have a large department that solely deals with authentic Honda accessories and OEM car parts, so you can be sure your vehicle meets manufacturer standards after any patch-up work. Look through our service specials online and schedule an appointment for a free estimate.